My mother used to say that from time to time. It wasn’t that I was a horrible baby, it was that I was allergic to milk. So, for the first several weeks of my life, I screamed. And I screamed. And I screamed. Apparently, I drove nearly everyone insane. Finally, the doctor recommended that they feed me something called lamb base (by all accounts, a vile substance) and I stopped screaming. Angels sang. Humans slept. Pretty maids grew all in a row. Barbara Mandrell was Country Before Country Was Cool. I was Lactose Intolerant before that was …um… cool? Okay, in vogue? Whatever. Although, I think that perhaps I’m not lactose intolerant. I can enjoy some dairy with its sugar. I think that perhaps it’s the milk fat that lets me know how the garden grows! On the menus I publish on Sundays, you’ll find regular Greek and Australian yogurt, and regular hard cheeses. You’ll also find almond milk, reduced fat normal yogurt and fat-free cottage cheese. I can digest most regular Greek and Australian yogurt and regular hard cheeses. Something in the processing kills whatever it is that wreaks havoc with my system. However, regular yogurt, milk and soft cheeses are a nightmare for me. I go with the reduced or no fat versions of those and I’m fine. I use almond milk on my cereal. I’ve tried soy milk, rice drink, goats’ milk and almond milk. The soy doesn’t work for me since it upsets my stomach nearly as much as cows’ milk. Soy also contains some hormones I’m not crazy about adding to my diet; so, that really isn’t an option for me. I didn’t much care for the flavor of the rice drink. As for goats’ milk, maybe I got the wrong kind, but it was, in a word, disgusting. I am thrilled that some people like it and provide those farmers with customers; but, even thinking about it makes my lip curl. Almond milk works for me. The calorie count in the unsweetened almond milk is crazy low, too, which is great! I like the dark chocolate version for an after workout recovery drink. Almond milk also has more calcium than dairy milk. I don’t know if that calcium is as readily absorbed as calcium in dairy milk and I’m having a hard time finding out. If any of you knows, please share. Brie is a soft cheese exception. I can eat it without pain; but brie is one of those weird cheeses to me. Sometimes I like it, sometimes….ew. I’ve discovered, though, that it can make a nice addition to a green salad. I’ve also discovered that I like the Ile de France brie better than the President brand. Additionally, the Ile de France brand comes in these wee tiny little wheels that are just perfect for a single salad with spring greens, walnuts, blackberries, bits of orange and a fruit vinaigrette. It makes for a really tasty, if somewhat girly, salad. Sorry, guys. 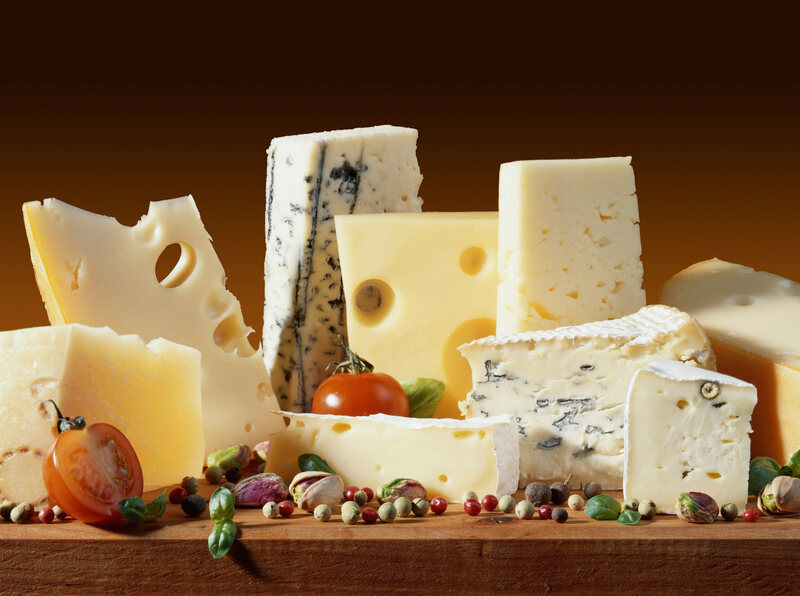 Dairy is a great source of calcium, protein and, let’s face it, flavor. I need all of those in a healthy diet and I’ve found ways of enjoying dairy without finding out just how the garden grows. This entry was posted in Dairy Free, Food. Bookmark the permalink. As Jon Anne’s Aunt, I can confirm 24 hour rocking shifts with my Mother and sister. We were heartbroken for this precious baby and her pain. I’m also “slightly” lactose intolerant. When it first started, I couldn’t touch anything dairy without major problems. I’ve found that I can handle it in small doses and ice cream! I worry about osteoperosis so I need to make sure I get the calcium somehow. Sometimes, I take a hit for the team…so to speak. I see that almond milk has more calcium than dairy milk and it doesn’t have the hormone issues of soy. So, I use that on my cereal and in cooking. It works just fine – except for pudding. Don’t use it with pudding. I don’t know if the calcium in almond milk is as absorbable as the calcium in dairy milk, though, and I’ve been unable to find out.